It’s been a few months me staying with my friend Lozil. 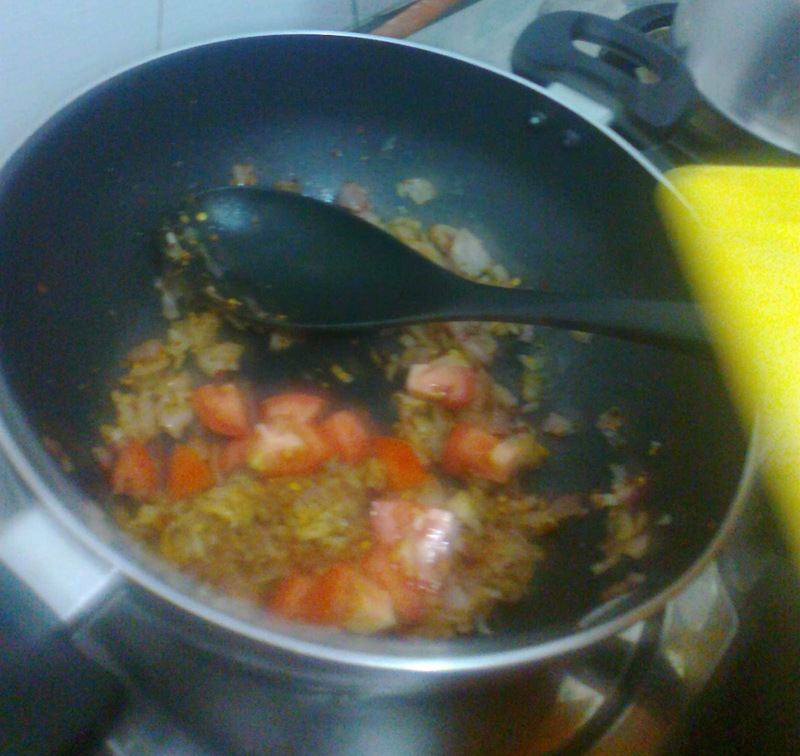 Every day I was cooking one or other thing as it is needed for two of us. In the eve of last Sunday (2013, 1st December) we both wished to eat chicken roast and it has been never tried it at home. 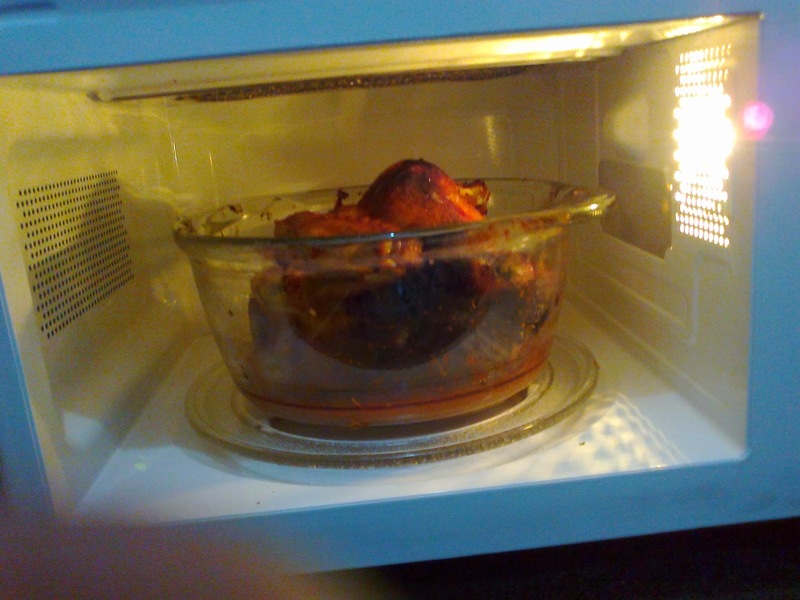 I hit a search in Google- ‘How to cook chicken roast in oven’ and accordingly planned to do it. 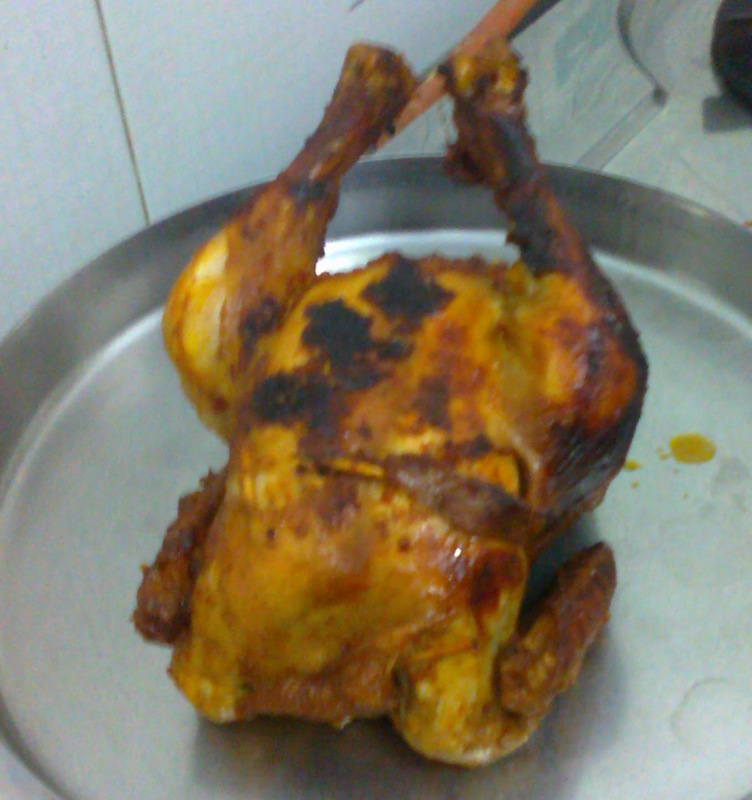 At 6 pm we went to chicken stall and bought a 1.45kg chicken and we were up for an experiment to do it in oven. For both of us it is new and with lots of planning we started. I cleaned the chicken and kept it in bowl containing curd mixed portion simultaneously he prepared the stuff to fill it inside the chicken. 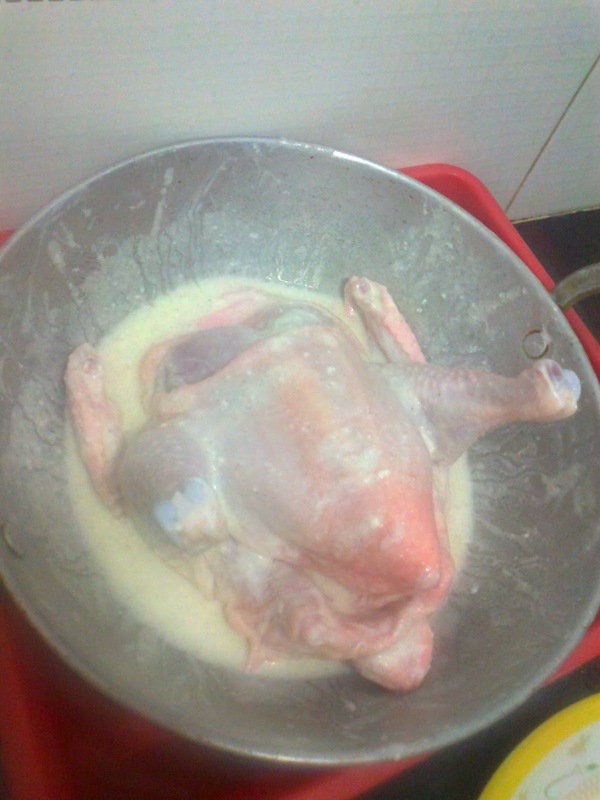 25mins later I removed chicken from the bowl and packed its empty stomach with stuff prepared by my friend, the outer side of the chicken we applied the chilly paste specially prepared for it and kept it for 10minutes. Then the actual grill process started. We had no idea how to keep it in the electrical IFB oven. Finally we managed to figure out and kept in Borosil-DeepRound Casserole 2.5L Bowl and put it in the oven with the grilled menu for 15 minutes. We have no idea how it is going to grill our fingers crossed. 15 minutes later when we removed the bowl out to see the state of it. Smile on our face as the grill process started. 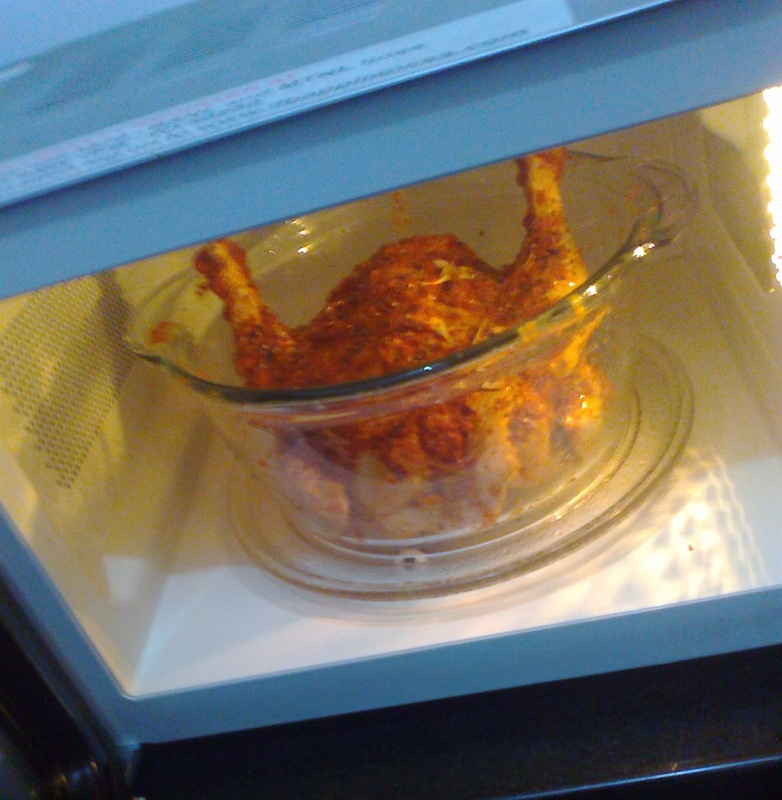 Now again we put the chicken in the oven to Grill it’s another side for 15 minutes. 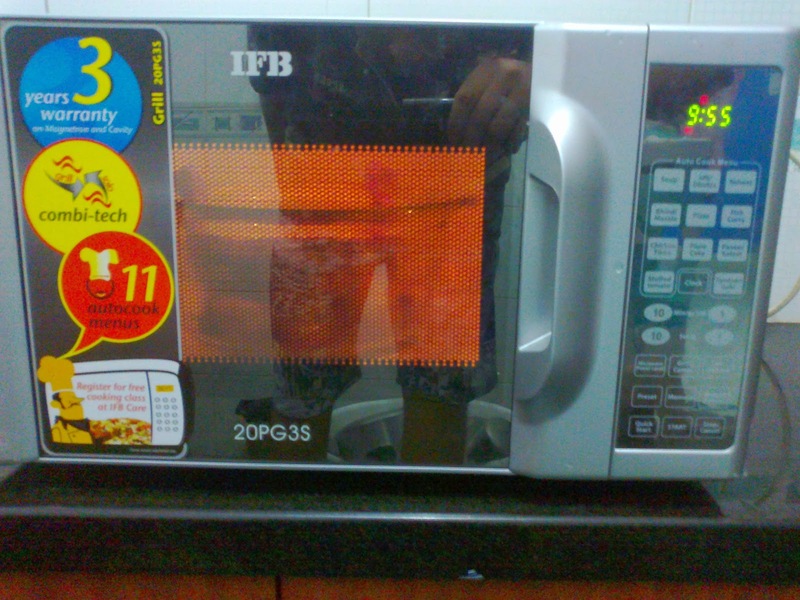 We were still not sure whether it going to roast or not. 15 minutes later when we removed we were happy to see our experiment was going in a proper direction and my friend exclaimed in joy “We never fail in cooking”. Now we wanted the meat to cook properly so changed the oven menu as Combi and cooked the chicken all sides for 4-5-10-10 minutes in intervals. At end there was no hight for our joy. We were so happy and we have grilled chicken to eat. 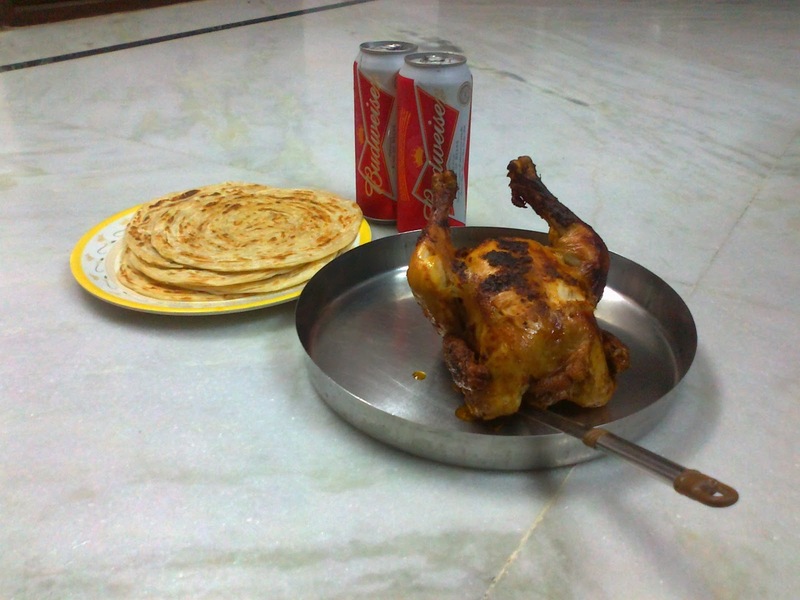 Mean time we bought Parota and Budweiser to add up our meal. It’s a real unexpressed happiness when your dish turns out to be so delicious. Thank you very much. You have spent a little time on my post. Christmas is coming up spend your vacation with your loved ones if you have little interest in cooking then surprise them with your quality have lots of fun. 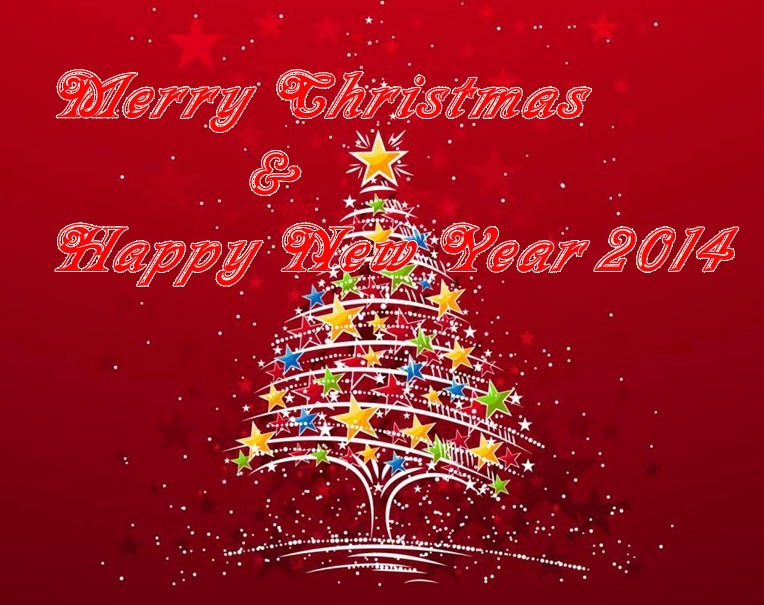 I wish everyone Happy Christmas and a prosperous New Year 2014.